Unfortunately, the crowd’s enthusiasm had to be stifled, as a lengthy review eventually determined that an Islanders player exiting the ice was just barely offsides when Kuhnhackl entered the zone. 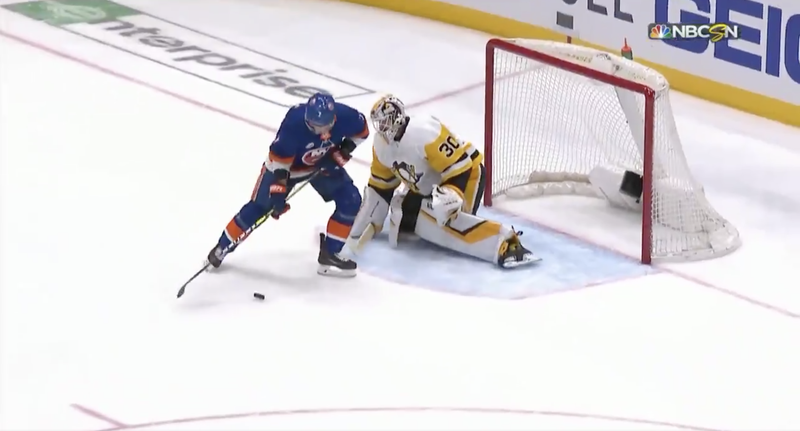 But even though that call got nullified, Jordan Eberle made it all better again, burying a point blank shot on Matt Murray to restart the party just a minute after the cops shut it down. It was Phil Kessel who figured out how to get the crowd to briefly shut up, scoring the equalizer four minutes later. But god, can you imagine how much worse this series would be if the Isles were playing at Barclays? Who&apos;s Keeping The NHL Out Of Quebec City?